The Chinese New Year break is nearly here, so I figured I’d better get this list going. 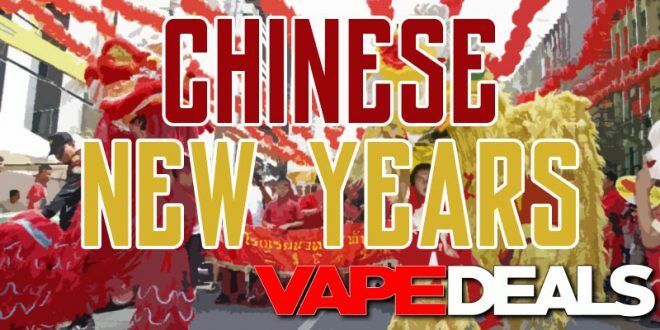 As most of you know, this is always a great opportunity to save some money on vape gear. Just remember that processing/shipping times will be delayed during the holiday. Regular business hours (for most vendors) will resume around February 12. As usual, we’ll be updating this list throughout the week, so you’ll probably want to check back on occasion to see what’s new. I’m going to include some of the other active sales here as well, just to make everything more accessible for you guys. Feel free to leave a comment down below if we missed anything.